Eight members of the Normal West junior varsity girls basketball team were treated and released from the hospital. At a news conference at the school, Normal West Principal Dave Johnson said freshman coach Steve Price is conscious after he suffered several broken bones in the crash and will need to undergo surgery. Two people were killed in the crash: team volunteer Charlie Crabtree, 72, and the 34-year-old driver of the semitrailer truck, Ryan Hute from Delmar, Iowa. The semi was reportedly driving the wrong direction in the westbound lanes of I-74 between the Downs exit and U.S. 51 at about 8:30 p.m. Wednesday. "It is unknown if Hute was wearing his seat belt, or why he was traveling in the wrong direction," said Peoria County Coroner Jamie Harwood. "The case remains under investigation by the Illinois State Police and this office." 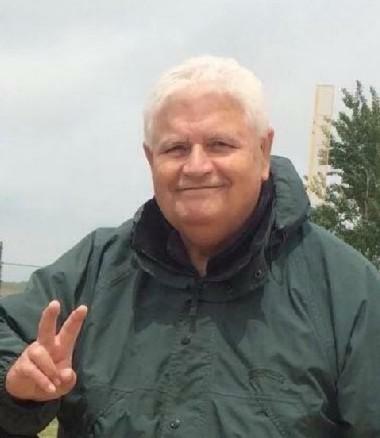 Charlie Crabtree, 72, served as a scorekeeper and public address announcer for the Normal West girls basketball team. An autopsy Thursday showed Hute died from multiple blunt-force injuries suffered in the crash. His toxicology results are pending. Four of the players were treated and released from Advocate BroMenn Medical Center in Normal, and four others were treated and released from OSF HealthCare St. Joseph Medical Center in Bloomington. The AFSCME union identified the bus driver Thursday as Mark Kuhn. AFSCME said he was in serious but stable condition. Unit 5 bus drivers are employed by First Student. District spokesperson Dayna Brown said Kuhn has been employed by First Student since 2016. Johnson noted Crabtree was a former Unit 5 bus driver. He served as the team’s scorekeeper for road games and was public address announcer for home games. Crabtree worked for Country Financial in Bloomington for 36 years until his retirement as a computer operations manager in 2003, according to a statement from the company. "He will be remembered by his colleagues as a kind and cheerful giver who strongly believed in volunteerism," said Country Financial spokesperson Chris Stroisch. "Our hearts go out to his family, friends and all who knew him." Johnson said counselors from throughout the district have been at the school Thursday to provide support to students and staff. Normal West athletic director Stan Lewis said West has canceled Thursday night's junior varsity basketball game as several of the players were injured in the crash, but the varsity game against Peoria Richwoods will go on as scheduled at 7:30 p.m.
“Our girls and coaches want to play the varsity game tonight,” Lewis said in an email. He added the school will observe a moment of silence for Crabtree. Johnson noted varsity coach Corey Ostling is also a school counselor. “We does wonderful work for his team,” Johnson said. Johnson noted Price, Normal West’s physical education and driver’s education teacher, was one of 11 current staffers who have been with the school since it opened in 1995. 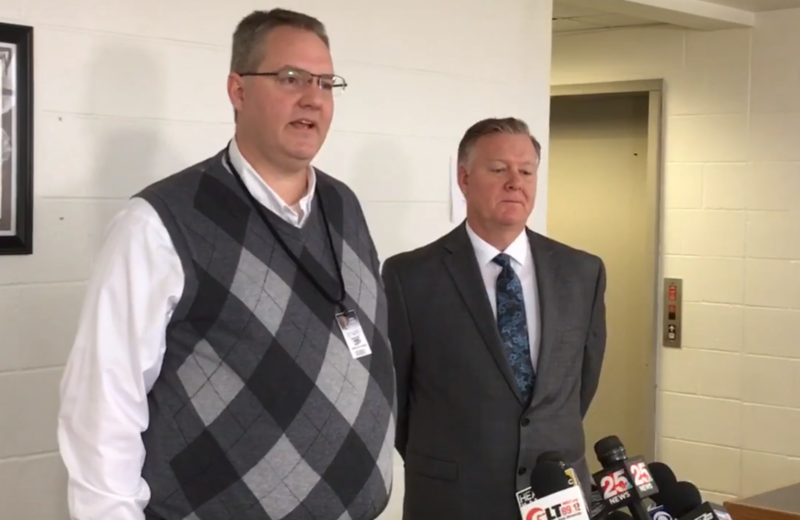 Normal Community West High School Principal Dave Johnson (left) and Unit 5 Superintendent Mark Daniel provide an update following a fatal bus crash on I-74 Wednesday night. Unit 5 Superintendent Mark Daniel said given the extent of the damage to the bus, he’s grateful there weren’t more serious injuries. “I would say from looking at the condition of that bus that we probably witnessed a miracle,” Daniel said. “From looking at the photos and the footage of the accident it appears the front end of the bus doesn’t exist three rows forward. Johnson noted the crash is just the latest tragedy the school has endured recently. Senior softball player Olivia Sonetz was killed in a crash last March. Former Normal West students Michael Collins and Courtney Littell, both 22, died in a car crashes in 2014 and 2017. Normal West opened its doors late Wednesday night for families to seek support and information. Johnson said he was “overwhelmed” by the help from school staff, police who helped confirm and disseminate information, and several church leaders. “It is a community school,” Johnson said. “That’s why the word community is in our name, because everyone comes together." SPRINGFIELD - A new campaign to get drunk drivers off the road hits close to home for a former Illinois State University student.